Planning an Engraving "As You Go"
Almost all of my engravings are carefully planned. The most complex have detailed drawings, normally twice as large as the final image. I refer to these as I engrave and find them invaluable. On the wood, I translate the textures of the drawing - usually in ink - into the marks made by my gravers. Sometimes, I like to make things up as I go along. 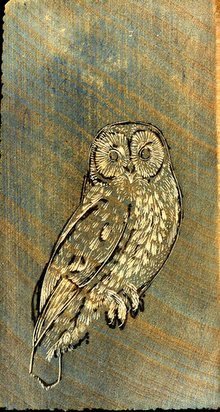 Some time ago, I engraverd a tawny owl on a small piece of lemonwood. It has sat there, forlorn and unfinished. Recently, I have not been in the studio much to work. I went in to tidy it and then started to insulate the walls as it gets rather cold in there in winter. 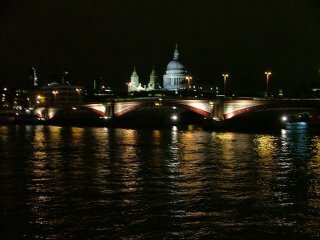 I think that I benefit from this break as now I am refreshed and keen to get on with work. I thought I would get back to the owl. I had the idea when I engraved it that a moon would be a good addition. A few nights ago, the moon was shining through broken clouds with a halo around it. This has stuck in my mind and I will try to recreate it. The foreground will be simple, with the owl perched on a post or stump. I scanned the block last night so that I can post it. The block is not much more than an inch across - its quite detailed work. You can see the ink sketch I drew on the block. Click on the image to enlarge it. I will keep you posted with progress reports. I spent today making pencil sketches in preparation for line drawings for a website. This is for local restaurant in an isolated Fenland village, about 15 minutes drive from my house. I have always enjoyed bartering and, as this restaurant serves some of the best food in the area, I have arranged to be paid at the dining table! I drove out on a damp, misty day to make sketches and take pohotographs. 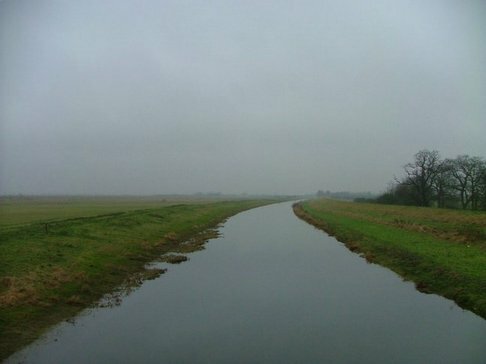 These conditions really emphasise the atmosphere of the Fenlands, where I was born and where I still live. This photograph gives a flavour of the ladscape - click on it for a larger version. OK - back to drawing. I had wondered about working this evening but decided to mke this a non-printing day. I can catch up tomorrow and start fresh. I plan both engraving and printing during the day. I am a step nearer to the long overdue redesign of my website. I have a new domain and will build the site there before transfering the whole thing to my normal address, intending to keep both going in the future. I will post the new address here as soon as there is something to see. One of the better days.